It has been a bumper quarter at CPUT’s Advancement Department, who have helped raise millions in bursary funding for needy students. Director Calvin Maseko has extended heartfelt thanks to all donors, and says their support is life-changing for so many academically deserving students who face financial challenges. 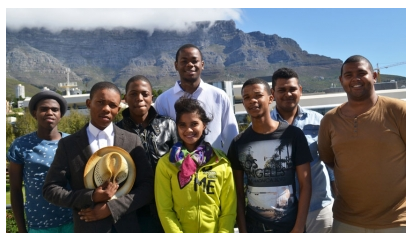 These students have a lot to smile about – they have just made history as the very first recipients of bursary funding from The Motsepe Foundation in the Western Cape. Established by one of Africa’s most successful business leaders, Patrice Motsepe, and his wife Dr Precious Moloi-Motsepe, the Foundation have given full bursaries to these achievers. 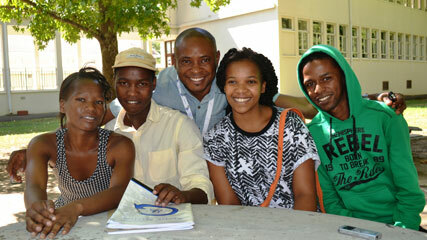 The bursaries will be renewed for each year of study if the students show proof of excellent academic results. These wine-makers, fruit exporters and agricultural researchers of the future are all recipients of bursary funding from the AgriSeta. Dr Lewu says that the generosity of the Seta has made a big difference both to the Department of Agriculture and the students’ lives, allowing the Department to retain top academic achievers who would otherwise have dropped out or struggled due to financial constraints. “These are but two of many other donors who are making such a tangible difference for our students. We trust that they will be pleased to see how much their support counts and continue funding the CPUT Bursary Fund”, says Maseko. He has also acknowledged the generous support of the Ackerman Family Educational Trust, Collaboration Concept Design Reality, the EJ Lombardi Trust, Garden Cities, Golden Arrow Bus Services, Infiniti Legal Sense, The Mauerberger Foundation, Rane Corporation (Pty) Ltd, Revel Fox & Partners, the South African National Zakah Fund, The Isidore, Theresa & Ronald Cohen Charitable Trust, the National Youth Development Agency and most importantly, CPUT staff and alumni.